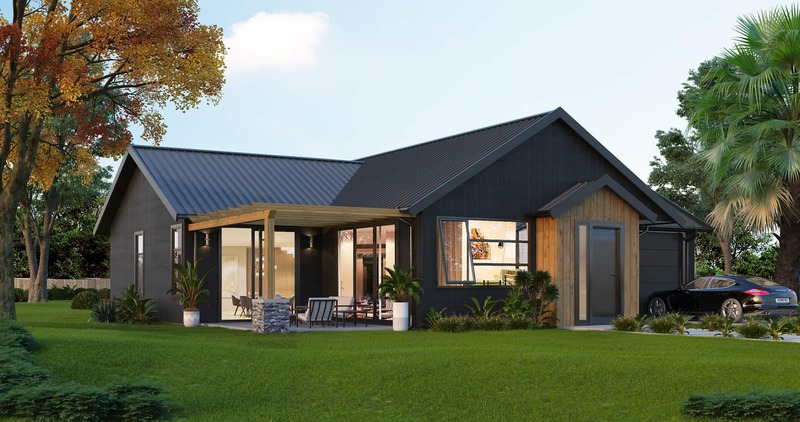 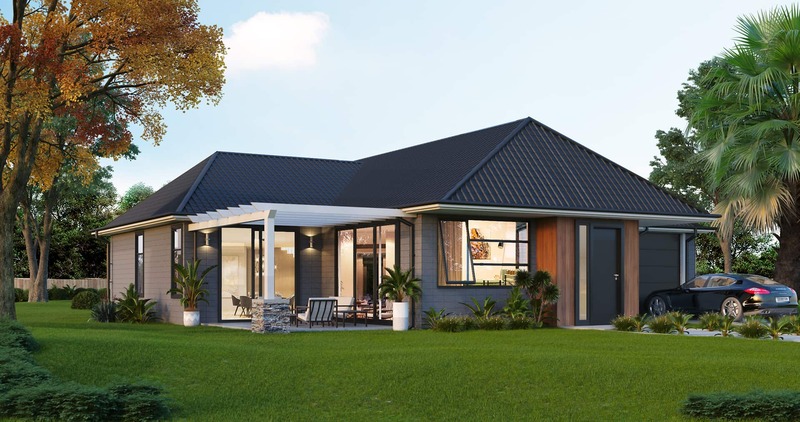 A stylish family home, Olsen effortlessly fits on small sites. 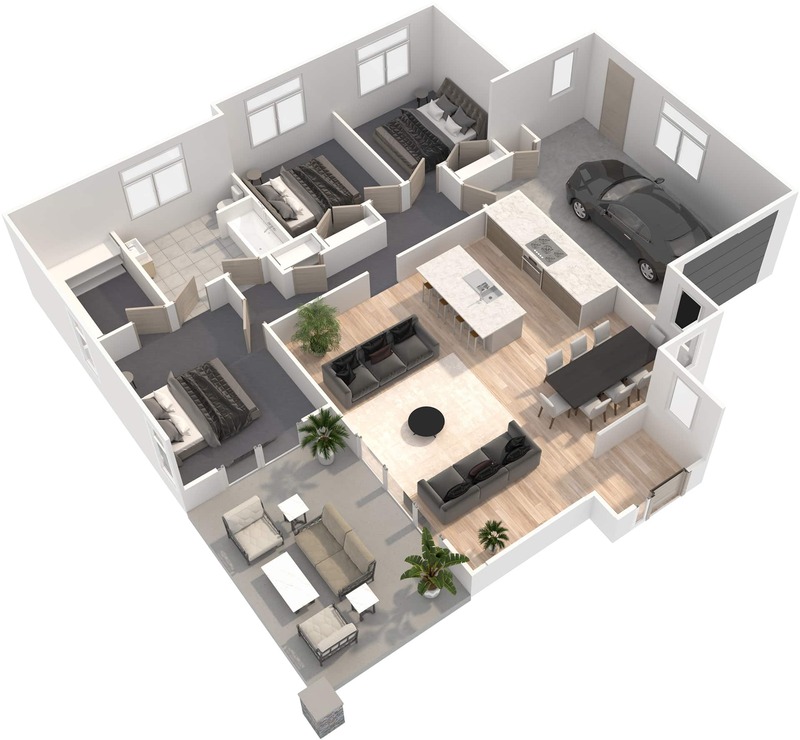 The single garage, three bedrooms and bathroom fit sleekly around the central open-plan living, dining and kitchen area. 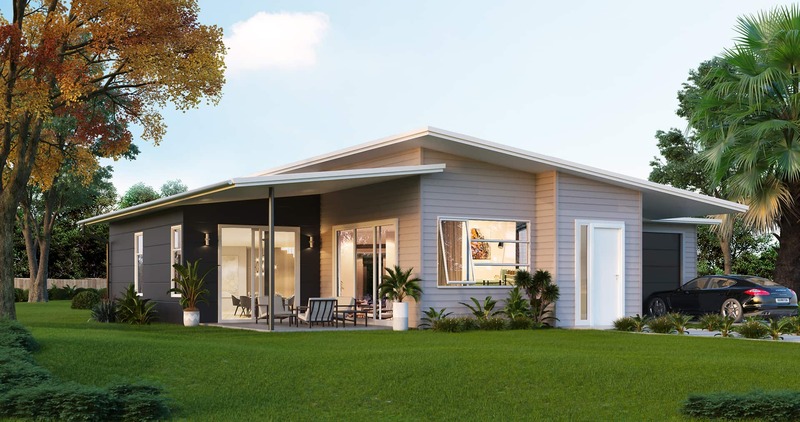 Also features a patio area for outdoor living in the warmer months.